If you want to be like a celeb, that means pursuing the finer things, like Porcelain Veneers. Fortunately, if it’s a celebrity’s smile that you covet, your own five-star grin is easily accessible. The stars you admire aren’t all born with the DNA that gives them perfect teeth. Plenty of those smiles were created through the artistry of a Manhattan cosmetic dentist and the power of porcelain veneers. Natural-looking porcelain veneers are one of the most versatile and long-lasting cosmetic dentistry treatments available. Known for correcting a host of oral health problems and aesthetic complaints, veneers create the flawless smile and gorgeous teeth that you’ve always dreamed of having. If you are dealing with a frustrating oral health problem, there are plenty of cosmetic dentistry treatments that can repair these issues. A porcelain dental crown can hide a cracked or broken tooth. A professional teeth-whitening treatment can eliminate tooth stains. It is porcelain dental veneers, however, that make the biggest impact. Teeth that are crooked, stained, broken, chipped, misshapen, gapped, short, uneven, or crowded can all be fixed with porcelain veneers. A smile makeover doesn’t have to involve multiple cosmetic dentistry treatments. One procedure carried out over just two or three visits to your dentist can transform your teeth, smile, and life. No one wants a cookie-cutter smile, or fake-looking teeth. There is no reason you should settle for anything like this. Porcelain veneers are customized for every patient and made to flatter you and you alone. A variety of elements are taken into consideration when your veneers are constructed, from your skin tone to the color of your natural teeth. The goal is to create a smile full of natural-looking teeth that shine with a natural translucency so that anyone would be hard-pressed to determine if they are real or veneers. Plus, porcelain veneers that are done well and using the right kinds of materials will not stand out in any way other than to make you look like the best version of yourself and make people wonder what you did to look so great. The thin shells of handcrafted dental porcelain are bonded seamlessly and permanently to the front of your natural teeth so that they don’t stick out unnaturally. The results of porcelain dental veneers are long-lasting. The enhancement of your appearance is tenfold. There are truly no downsides to the application of porcelain veneers. You will have a transformed smile that makes you look younger, happier, and healthier. Improved functionality: Your mouth will work even better when you aren’t suffering with foundation problems, broken enamel, or bite issues. The application of porcelain veneers is even able to help problems like TMJ or bite issues, and that makes it easier for your to eat, speak, and live free of any mouth pain. Stronger teeth: Some people simply have weak enamel that makes them prone to developing cracks, breaks, or multiple cavities. Porcelain veneers reinforce your natural teeth and protect the tooth structure, keeping your teeth safe from undesirable problems. Plus, veneers are long-lasting – when probably taken care of, veneers can last for decades. Impervious to stains: The strong composition of veneers makes them highly resistant to staining or discoloration. It’s still important to watch your ingestion of dark-colored foods and beverages, but you would have to work very hard to stain a set of porcelain veneers. Minimal discomfort: Once your veneers are in place, you’ll get used to them so quickly you’ll forget that you’ve even had cosmetic dentistry. The actual veneer procedure is also low in discomfort or pain. For the patients who have concerns about the preparation for veneers – which involves shaving the natural teeth down to fit the veneers in place properly – an alternative is available: Cerinate Lumineers. This cosmetic dentistry treatment is just as transformative as veneers but completely non-invasive. Your teeth will be examined and your oral health considered to ensure that veneers are the right repair for your smile. 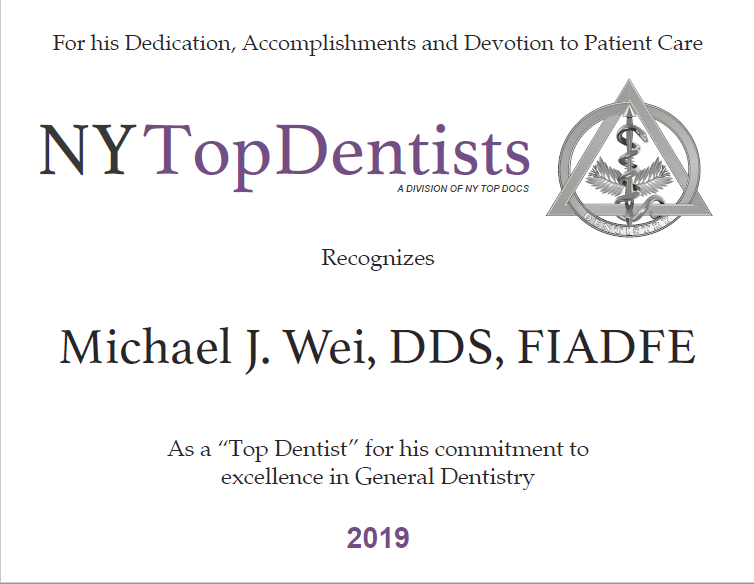 Dr. Wei will take into consideration your existing dentition and bite. Your facial features, skin tone, face shape, face symmetry, and bone structure will be noted, along with the shape, color, and length of your teeth. Impressions will be taken of your teeth to create a blueprint of sorts for your new smile. Teeth are prepared with the minimal removal of enamel so that the teeth can accommodate the veneers and allow for a strong seal between tooth and veneer. Impressions will be taken again for the dental lab so that your veneers can be customized to your mouth. Temporary veneers will be put in place so you can “test out” your new smile and report any concerns, complaints, or praise. This information allows Dr. Wei to make any changes to your veneers before they are permanently bonded to your teeth. On your final visit, the temporary veneers will be removed and the new porcelain veneers will be put in place. Once you have reviewed the appearance of the veneers and Dr. Wei has confirmed their fit, the porcelain shells will be permanently cemented in place and cured with a special light. The durability of veneers cannot be disputed. 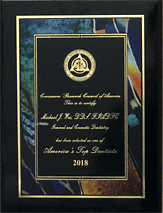 This cosmetic dentistry solution is safe, strong, and amazingly life-changing for any patient who chooses them. 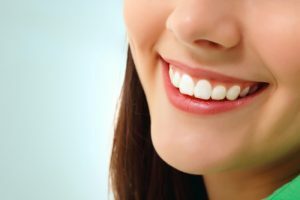 As you discuss your smile makeover options with Manhattan cosmetic dentist Dr. Wei, he will answer any questions you have about veneers and help you determine if this is the right solution for your smile. Call to schedule your consultation with restorative and cosmetic dentist, Dr. Wei. Many of our patients live and work in Midtown Manhattan, while others come from Astoria, Weehawken, and Long Island City.